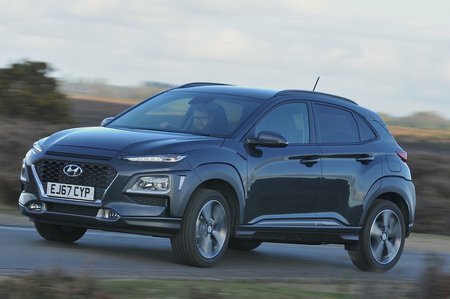 Hyundai Kona 1.0T GDi Blue Drive Review and Deals 2019 | What Car? You might imagine that a dinky 1.0-litre petrol engine would struggle to haul around an SUV, but remember that the Kona has a smaller footprint than a VW Golf. Outright acceleration is more than acceptable (0-60mph took 10.4sec in our tests) and, thanks to relatively short gearing, the Kona even picks up speed reasonably swiftly when you accelerate from low revs in the higher gears.